The Prayer is the ending number of Act 1 from Torrey Russel's musical Orpahn Blues. 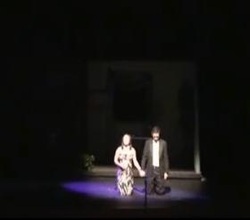 Performed at the West Las Vegas Library Performing Arts Theatre in the summer of 2010. Produced by Broadway in the Hood/A Source of Joy Theatricals.